Intended for ultra-high performance street use. 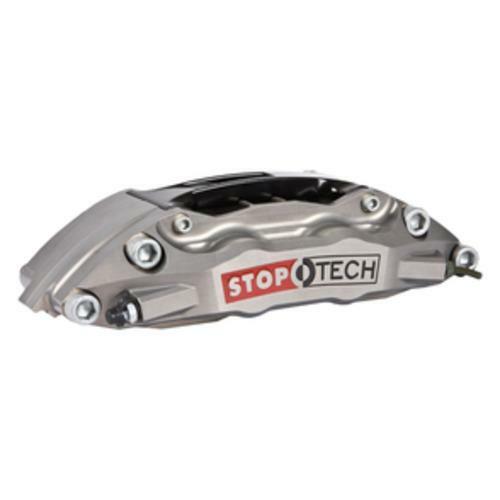 They are designed for street driven production vehicles. 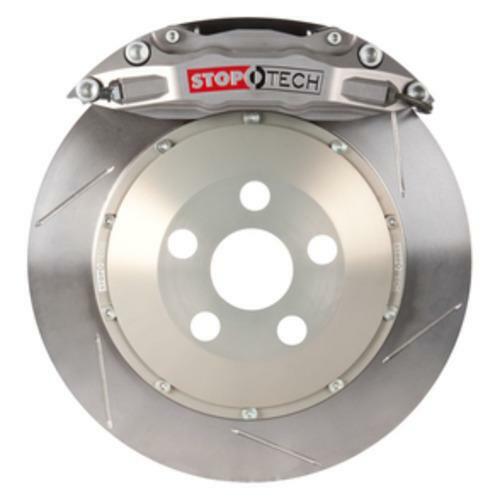 The Trophy Sport Big Brake Kits use the same STR calipers, AeroRotors and AeroHats found in the full-race Trophy Kits, but add silicone dust boots for extended service intervals and anti-rattle rotor mounting hardware for quieter operation. 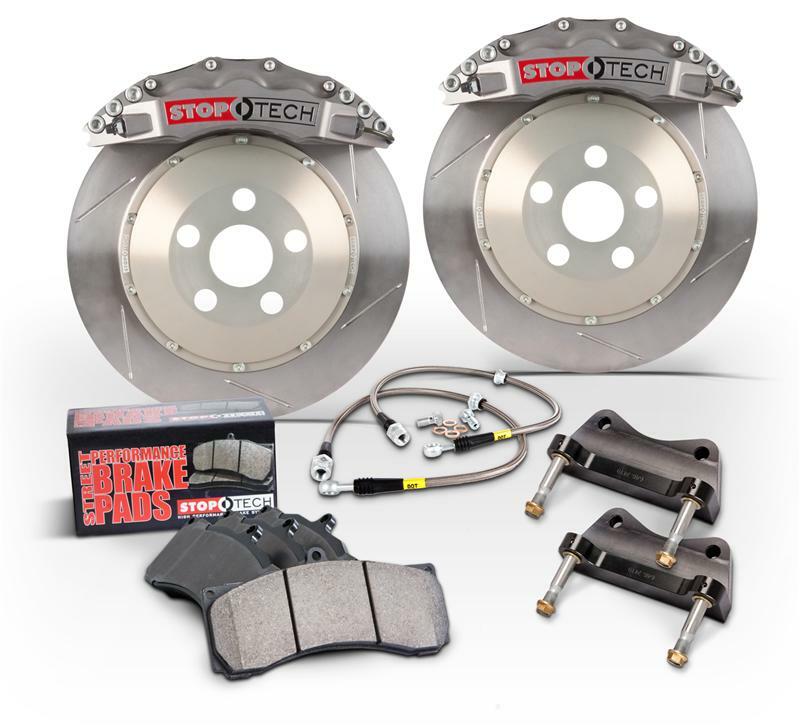 They also include StopTech Street Performance Brake Pads for high performance street and occasional track use.Trophy Sport Big Brake Kits are the ultimate street braking system. 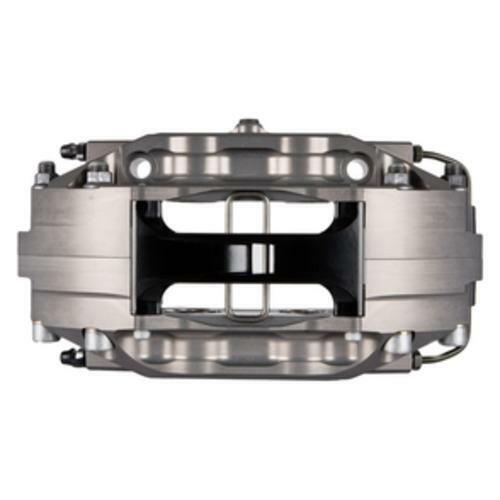 Braided stainless steel lines reduce system compliance and improvebrake pedal feel and modulation. 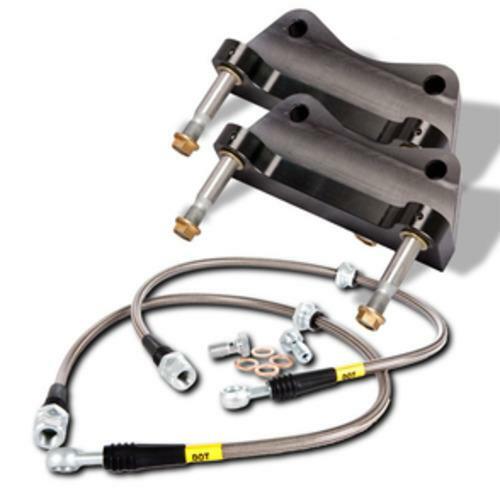 StopTech’s Stainless Steel Brake Lines are D.O.T. compliant and designed to fit your vehicle.